Kid’s art use to all look the same to me. Now, I’m noticing changes in P’s painting techniques. She use to handle each color separately both on her palette and on paper. 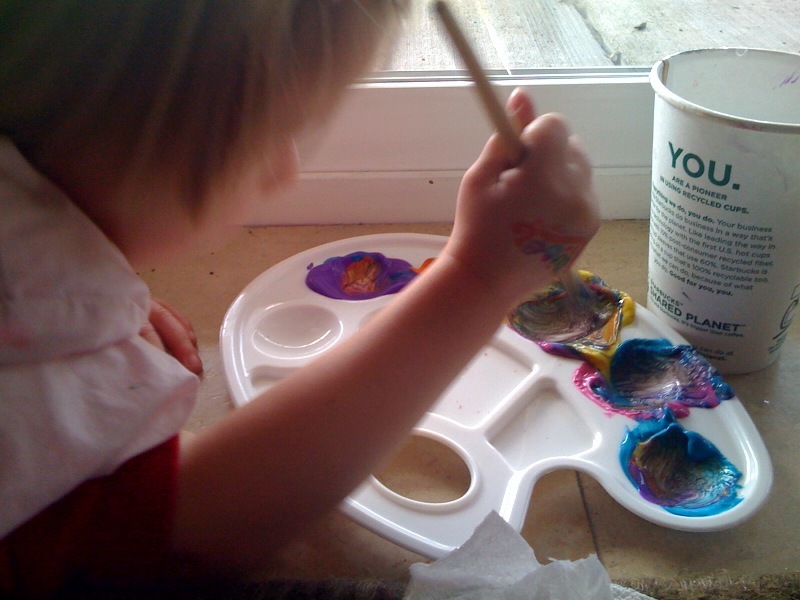 Now she is mixing colors everywhere and her brush strokes are longer or smoother across the entire paper. I love watching these little changes. It makes me wonder what is going on inside that brain exactly? And what do these changes mean?